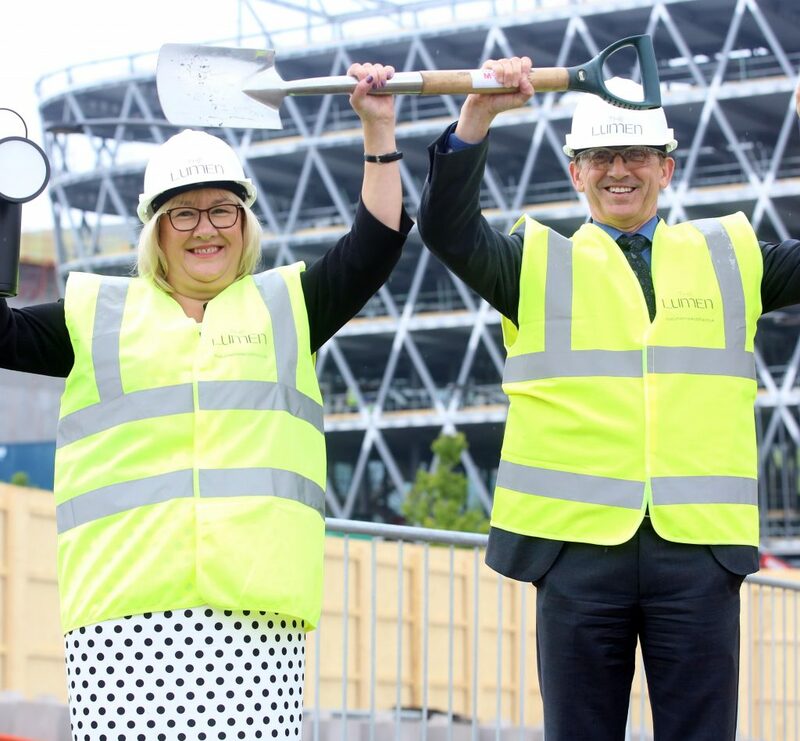 Legal & General has started construction of its flagship office building, The Lumen, at Newcastle Helix, as part of the initial £65 million it has invested in the site. This is the largest city centre office building, with private sector funding, to be constructed in the last decade and one of the biggest urban regeneration projects of its kind in the UK. A ground breaking ceremony was held recently to mark this milestone, bringing together business leaders and key politicians such as Nigel Wilson, Chief Executive of Legal & General, Cllr Ged Bell, Cabinet member for Employment at Newcastle City Council and Pat Ritchie, Chief Executive, Newcastle City Council. The Lumen, a 108,000 sq. ft. eight storey Grade A. office building, is the first phase of development by Legal & General at Newcastle Helix, a £350 million project set to drive economic growth. Newcastle Helix is being delivered as a partnership between Newcastle City Council, Newcastle University and Legal & General, as part of its ambitious plans to transform and regenerate cities and regions all across the UK. Newcastle Helix is set to create over 4,000 jobs, 500,000 sq ft of office and research space, and 450 new homes. The aim of the development is to become a major UK hub for scientific research, and technology businesses, creating knowledge-based jobs for future generations in Newcastle and extending the Northern Powerhouse to “the North of the North”. GVA and Cushman & Wakefield are the joint agents for The Lumen. Nigel Wilson, Chief Executive of Legal & General, said: “These are exciting times for Newcastle. Having grown up close to the City I have seen it survive through more difficult times as well as more positive ones. 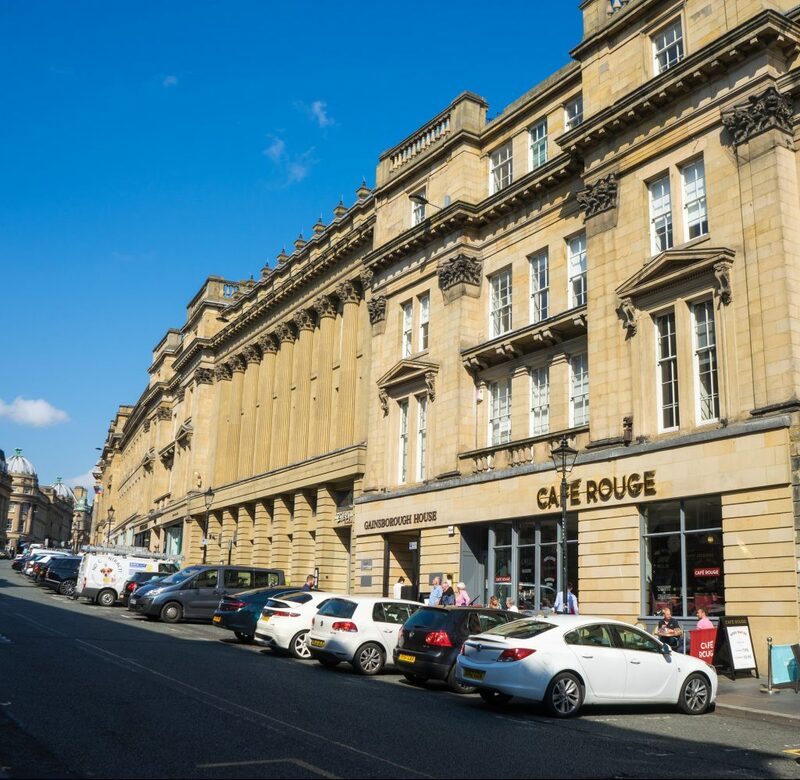 This is another new chapter for Newcastle and our partnership with Newcastle Council is a shining example of a local authority who embraces the opportunity afforded by devolution by forming exciting investment partnerships to drive forward the growth of our towns and cities. Cllr Ged Bell, Cabinet member for Employment at Newcastle City Council said: “Newcastle Helix this is nothing less than a game changer for future growth in Newcastle, and the work starting on The Lumen sends out the strongest possible message that Newcastle is a city on the up and open for business.